In a Nutshell: Customers have come to expect free wifi during the in-store shopping experience. And while it satisfies a consumer expectation, guest wifi also offers an opportunity to gain unprecedented insights into traffic flow and customer behavior. FortiPresence, developed by global network security leader Fortinet, allows companies to collect and analyze wifi data securely. The platform supplies businesses with actionable information about in-store traffic and conversions and is built on a secure cloud-based network connection. For providing comprehensive data-management for retailers, FortiPresence earns our Editor’s Choice Award™ for its wifi analytics and engagement solutions. In a culture that increasingly relies on connectivity in all areas of life, in-store shoppers expect uninterrupted access to the web, social media platforms, and apps — and they expect it to be free. In the case of a large, multi-store brick-and-mortar environment like San Pedro Square Market in San Jose, California, the first challenge to providing that expected service was building a wifi network capable of supporting a high-speed, secure connection for hundreds — or even thousands — of personal devices while still protecting its own operations. After a period of economic renewal in downtown San Jose, the market had a daily influx of 8,000 customers from across more than 20 dining and retail establishments. Low on bandwidth, for even tenant operations San Pedro Market Square’s owners quickly realized their current network was no longer sufficient. Another frustration was that, unlike an e-commerce retailer who could utilize web-based analytics and tracking software to respond to consumer trends, their guest wifi network yielded no insights. Peter Newton, Senior Director of Product Marketing for Fortinet, talked about his company’s wifi analytics solutions. With a secure-access, all-in-one Fortinet wifi solution, San Pedro Market Square was able to provide a reliable connection for its guests and businesses while managing all of its network security within one system. And, with FortiPresence analytics, the market can now track customer flow, dwell time, and conversion rates to make more informed business decisions. Fortinet offers brick-and-mortar retailers robust security solutions and FortiPresence builds on that with a comprehensive analytics product to extract customer insights. That’s why FortiPresence has been awarded our Editor’s Choice Award™ for its wifi analytics and engagement solutions. Retailers need to see what their customers are doing at both the macro and micro level to provide personalized shopping experiences, maximize ROI, and maintain a competitive advantage. Through FortiPresence, a platform that integrates with Fortinet’s network solutions, retailers can gain these vital insights. “If retailers want the ability to dig into customer trends, dwell time, how long they’re in the store, or how many times they’re coming into the store in a month, they need FortiPresence,” Peter said. FortiPresence goes beyond typical analytics software by combining cloud-based presence detection with customer engagement tools. Positioning analytics track customers’ movements based on their proximity to access points, while the customer engine includes tools to foster a more direct connection between retailers and customers, whether to gain conversion insights, influence purchases with promotions and coupons, or offer additional services like wayfinding. FortiPresence enables Social Wifi, a growing channel that allows shoppers to engage with a brand in the ways they’re most comfortable with — starting with a log-in portal that’s set up more like a social media page than a website. Guests can easily log in with their social media accounts and leave comments, posts, or rate products and services, while retailers gain important social data. For the owners of San Pedro Square Market, broader analytics like peak and trough hours, overall traffic flow, and conversions were vital to making improvements in its multi-tenant environment. “Just those data points have exposed ways to improve staffing, table placement, and signage,” said Brett Houston, the market’s IT provider. Used in conjunction with a Fortinet’s wifi network solution, FortiPresence allows individual stores, malls, and franchises to gain a stronger connection to their customers and knowledgeably answer the questions that affect their business. FortiPresence works within the broader structure of Fortinet’s Connect and Secure retail wifi solution. As one of the top five cybersecurity companies in the world with more than 350 security patents, Fortinet is known for its focus on high-tech security. That has been a significant concern for retailers in light of increasing cyberthreats and the vulnerability of business and guest networks connected to hundreds of consumers and their personal information. 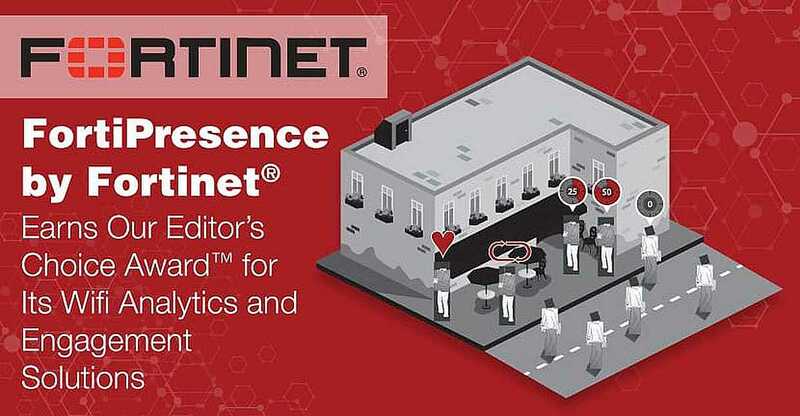 FortiGate, powered by FortiOS intelligence, is the core security management platform of Fortinet’s Connect and Secure Retail Solution. Along with FortiSwitch switches, FortiAP wireless access points, and unified threat management (UTM) appliances, it provides retailers with not only a secure, but a fully integrated network. With FortiGate, businesses can access and customize network and security management tasks within one system. Using FortiGate as its network management tool, San Pedro Market Square was able to separate its tenants’ POS terminal networks from its customer login portal, providing better security compliance and easier oversight. “In the past, we were successful at fending off intrusion attacks and staying off IP blacklists, but it was a lot of work. With Fortinet, everything from access security to virus control is easy and intuitive, and we have complete visibility of threats,” Martin said. By providing an all-in-one solution with powerful wifi access, integrated security, and easy system management, Fortinet is helping retailers upgrade their technology to meet the scale of business growth while protecting themselves and their guests. As retail establishments continue to look for ways to stay competitive and keep shoppers browsing their aisles, internet access — specifically wifi — is vital to meeting consumer expectation for uninterrupted connectivity. With the rise in cyber threats, security is a top concern for managing a public network, but with Fortinet’s secure, easily-managed network solutions, retailers can keep pace with this expectation in a way that keeps them and their customers safe. Although some may view the mobile-first movement and online shopping as a threat to their traditional small business, free wifi can be a channel that meets customer expectations and drives conversions. Built onto Fortinet’s secure, end-to-end wifi solutions, FortiPresence gives retailers the tools to enhance their customers’ experiences while gathering actionable business insights. For its wifi analytics and engagement solutions, FortiPresence has earned our Editor’s Choice Award™.